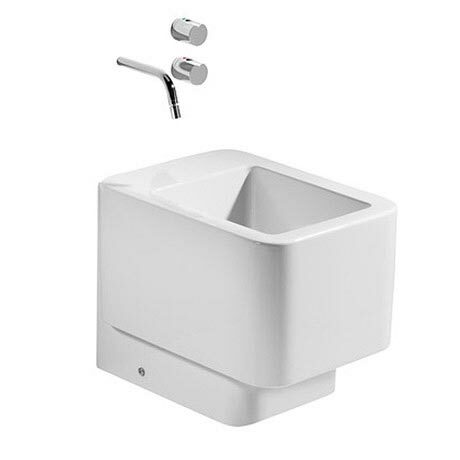 This Element basin back to wall bidet has 2 tap hole options, with either 0 tap holes (for wall mounted taps) or 1 Tap hole (mono bidet mixer). All taps and wastes are Sold Separately. Image pictured is the 0 Tap Hole option, currently there is no image of the 1TH option.